Cats can get a bad rep for being finicky eaters, but research by the Waltham Centre for Pet Nutrition suggests otherwise. 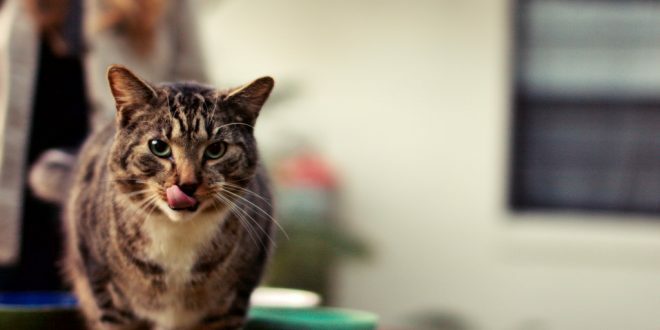 A study looking at the flavour, aroma and nutrition of cat foods found that even unappealing flavours can be a cat’s preferred choice if the nutritional content is right. The study by Mars Petcare showed that cats are able to learn about the nutritional content of their food. 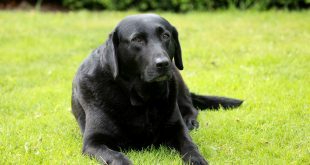 Although initially cats are drawn to appealing flavours and smells of food such as fish, if given a choice they favour more nutritional options, even if it doesn’t taste as great. In the tests conducted at Waltham, cats were offered food flavoured with fish, rabbit and orange. Fish was the initial favourite, but this changed to orange when it was offered with an optimal nutritional profile. What Made Orange Flavoured Food a Cat’s Favourite? Energy in our diet primarily comes from fats, proteins and carbohydrates. In an ideal environment, a cat will get roughly 50% of its energy from fats, and 50% from proteins. This is based on results from feral cats, whose daily energy intake consisted of 52% from crude protein, 46% from crude fat and 2% from N-free extract 1. In the Waltham experiments, cats were offered 3 foods at a time. Each food choice varied in the amount of energy which came from proteins and fats. For example, one diet had a protein energy % (PE) to fat energy % of 10:90. This meant 10% of the energy came from protein and 90% from fat. The ideal ratio would be roughly 50:50. The 3 choices also differed in flavours (fish, rabbit, orange). The experiment had 3 groups with different flavour/ratios to give a total of 9 different combinations illustrated below. During the first part of the study, cats initially preferred the fish flavoured food across all groups. However, in the second part of the study flavour was no longer the main driving factor of choice. Orange was the preferred choice for cats in group 1 due to its nutritional composition. Similar results were found in the other groups. Despite fish being the favourite flavour (as shown in the previous experiments) the most nutritional food was consumed more regardless of flavour. When cats were offered a choice of three foods, they were also able to balance out the amount of each food eaten to achieve the ideal 50:50 PE:FE ratio 2. Does This Change How You Should Feed Your Cat? It most cases, this isn’t going to affect how you feed your cat. This is mainly data to help pet food manufacturers. If your cat is healthy and a consistent good weight, you already doing a good job with their nutrition requirements. Buy foods for the appropriate life stage (e.g. kitten, adult, senior). If your cat has a health condition there are specific foods available designed for their needs (e.g. oral health). Ideally 50% of energy should come from protein, this means animal-derived (meat, eggs, poultry, fish) products should be at the top of the ingredients list. Don’t spend the bare minimum on cat foods as these products are of low nutritional value. Avoid foods that are bulked out with carbohydrates. Cats don’t utilise carbohydrates for energy like humans. If you want to know how many calories your cat needs, you can use our calculator here. Then use our calorie content calculator to work out the amount of calories in specific foods and treats per portion. 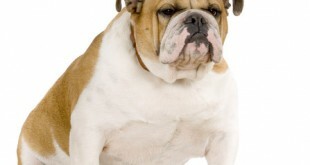 Previous Is the English Bulldog One of the World’s Unhealthiest Breeds?